Lyra is a retro designer statement piece, made for relaxing. 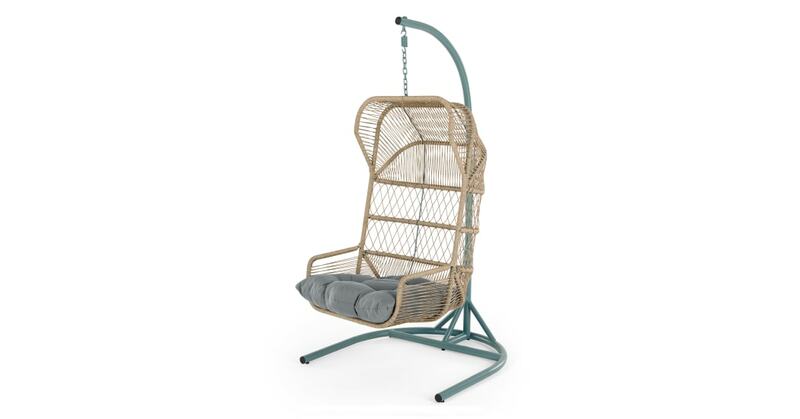 It's crafted from woven poly rattan and a blue metal frame, with a comfy grey cushion. Swing in style. On a sunny day, Lyra is an ideal place to hang out. This is the spot that you’re going to get through your summer reading list. Don’t forget the tunes, and a fresh drink. Lyra is a stand-alone unit, so you don’t have to worry about installation. It's weather resistant and can be left outside year round – just take the seat pad inside during heavy rain.